it matters, eternally. Because of you, some young woman will choose life. 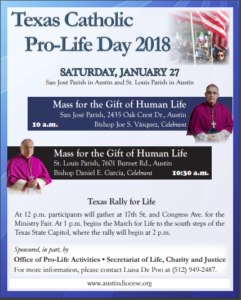 On Friday, Jan. 19, the 45th annual national March for Life will be held in Washington, D.C.
Saturday, Jan. 27, is Texas Catholic Pro-Life Day, featuring a prayer vigil, a Mass for the Gift of Human Life, and the March and Rally for Life. Testimony on why we march. Watch the video here. 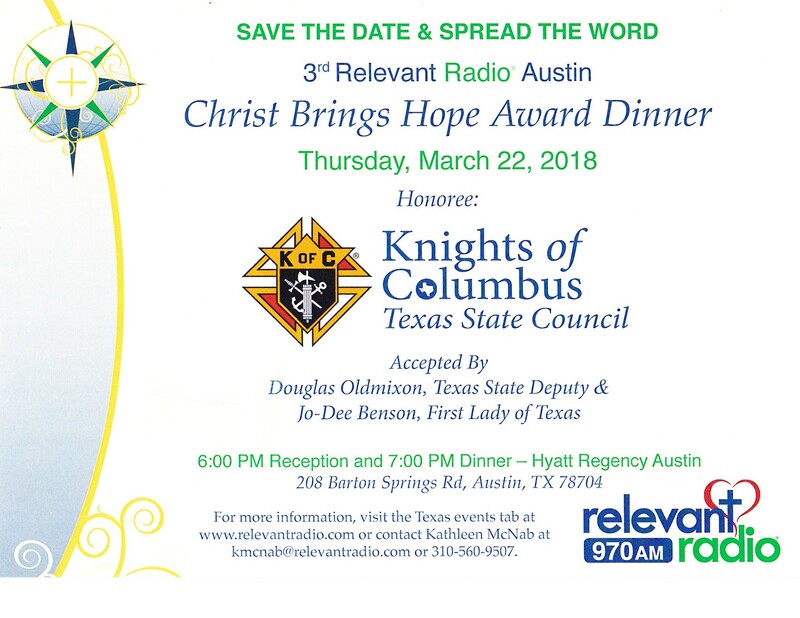 Whether you make it to the national events or remain local, be sure to follow the national Knights of Columbus on Twitter, Facebook and Instagram accounts. 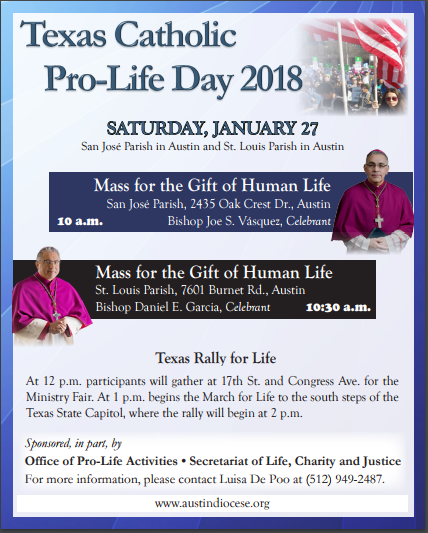 They’ll be featuring live coverage of the vigil, rally and march itself, which you can follow via the official Knights of Columbus hashtag, #KofC. Starting the morning of Jan. 18, there will also be live coverage of the event on kofc.org.